Garlic - the wonder spice/veggie - needs no introduction either as a flavoring agent in cooking or as a medicine. It is packed with antioxidants, lowers cholesterol, is a blood purifier, regulates blood sugar, prevents heart disease and strokes, prevents cold, cough - the list is endless. 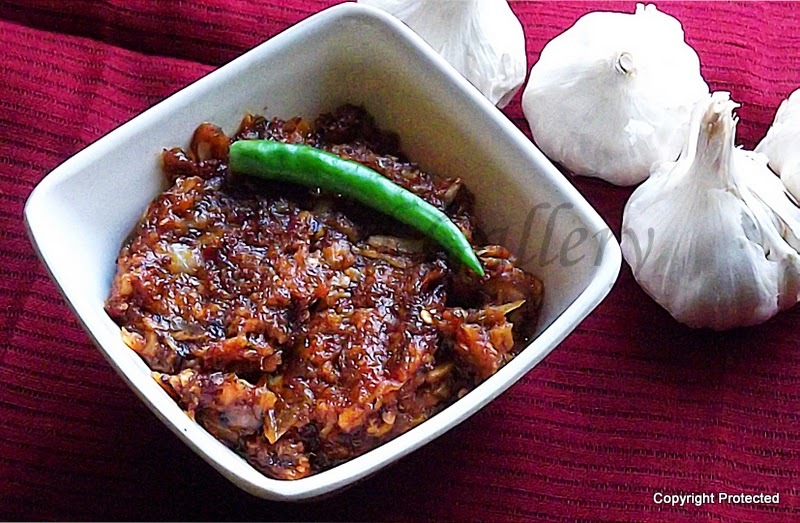 Garlic Chutney or lehsun ki chutney - There are many variations to this chutney. The taste differs depending on the ingredients used - onions or tomatoes or tamarind, chillies etc. The dry version is prepared without using water can be stored for a few weeks. 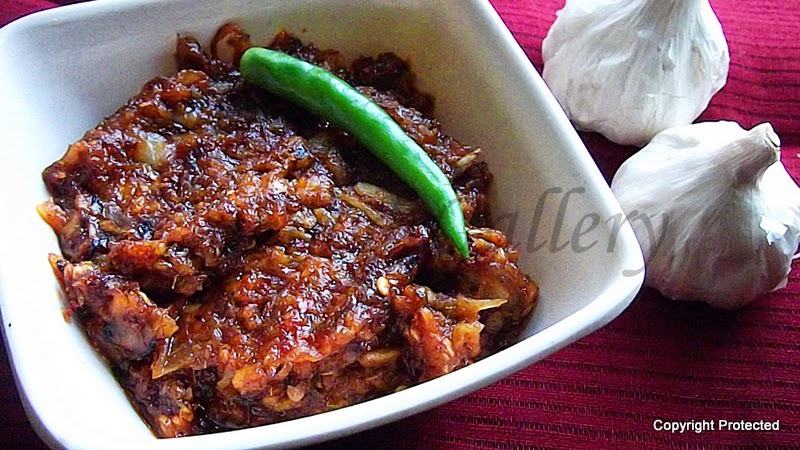 It tastes so yumm with paratha or plain hot rice and ghee. The wet/watery version needs to be used immediately and tastes good with idli, dosa, uthappam. Am presenting here the dry version. Do try it. Grind garlic, dry red chillies and salt without adding water. Heat oil in a kadai and add the cumin seeds. Once they start crackling, add the ground paste and cook on low flame till the raw smell of garlic goes off and remove from fire and set aside to cool. Can store in refrigerator for over a week. 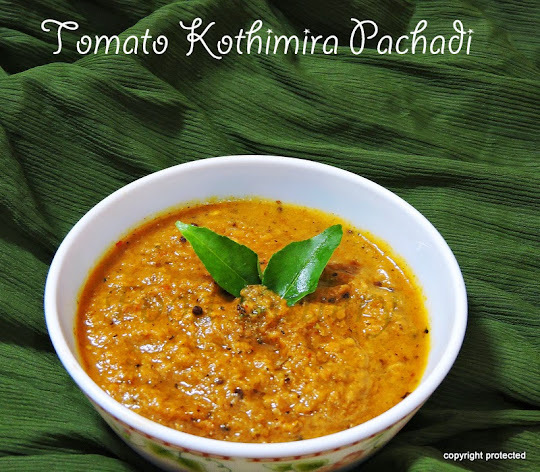 Serve it with plain hot rice and ghee or paratha. new 2 me n nice colour. Wow. What a simple recipe. I love garlic and add it to just about everything I make. I must try this.